Brought to you by VBnightlife.com and VBhotdeals.com. We have sourced exclusive year round discount offers from your favorite restaurants, shops, services, activities, events and fundraisers! 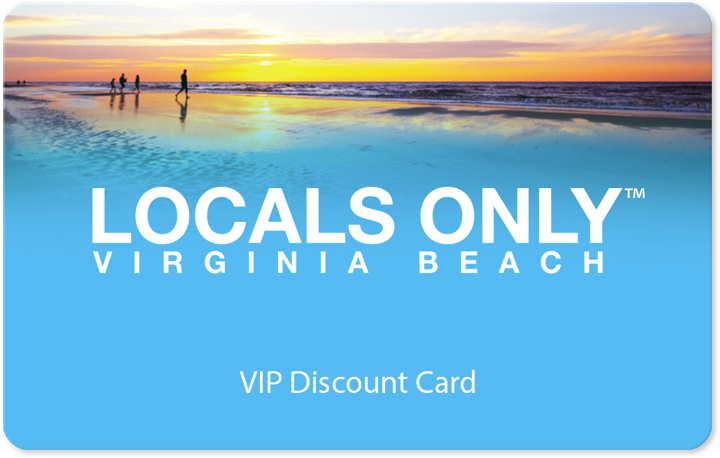 Present your Locals Only™ Virginia Beach Discount Card every time you visit participating location to receive your discounts or freebies! Look for the LO button on the VBnightlife mobile app where you can easily find the list of participating businesses right from your phone. Scroll down to sign up for our monthly newsletter to win prizes, discover new participating Locals Only™ locations & learn about our exclusive event discounts.